A flurry of exits, compromises with rivals & dissent in its ranks have left AAP stuttering, raising questions over its chief’s functioning. New Delhi, Chandigarh: Nearly six years after it was born with high promise, the Aam Aadmi Party appears to be floundering — the recent exits of prominent leaders Ashutosh and Ashish Khetan coming when the party is grappling with dissent in Delhi and in the only other state it has a significant political presence: Punjab. It’s a far cry from the vision that AAP convenor and Delhi chief minister Arvind Kejriwal laid out to some of his close aides when he launched the party on 26 November 2012. Those with the 2011 Anna Hazare anti-corruption movement, who ignored Kejriwal’s call to join him in launching a political outfit, told ThePrint that back then he harboured ambitions of being the Prime Minister of India in 2019. They said Kejriwal had a blueprint in mind that he hoped would pave the way to the most powerful job in the country. It was to start with the capture of power in the union territory of Delhi. The next stop was to be Punjab where Kejriwal was to take over as chief minister in early 2017. The AAP bandwagon was to then move on to Gujarat to focus on the assembly elections in late 2017. Rajasthan was to be won in November-December 2018 to lay the ground for Kejriwal to deliver the Independence Day speech from the ramparts of the Red Fort in 2019. The plan, however, went according to script only in Delhi, where AAP, after a false start in 2013 when it failed to secure a majority in the Assembly elections, managed a massive mandate in the 2015 polls. However, the party’s political fortunes have since gone downhill. The biggest jolt came in the Punjab assembly elections of 2017. The party had been upbeat about its prospects in the state where it had won four Lok Sabha seats in 2014. It, however, managed to win just 20 of the 117 Assembly seats in Punjab; now, eight of these MLAs have already turned rebels under the leadership of Sukhpal Singh Khaira, who was removed as leader of the opposition in the assembly last month. The party has been irrelevant in assembly elections since and has even suffered humiliating losses in Delhi — it finished third in the Rajouri Garden bypoll and was routed in the municipal elections last year. In between, a host of senior leaders, including many founding members, have either quit or have been sacked since 2014, suggesting an increasing disenchantment with Kejriwal and the party. Ashutosh and Khetan have joined this growing list, which includes Yogendra Yadav, Prashant Bhushan, Anand Kumar, Ajit Jha, Mayank Gandhi, Anjali Damania, Capt. G.R. Gopinath, and Shazia Ilmi, among others. “If you are suggesting that they (Ashutosh and Khetan) quit because they didn’t get Rajya Sabha nominations, it is fine. There is nothing wrong with being ambitious. But the fact is that those who were driven by idealism to join AAP have left the party,” one of the prominent names on the above-mentioned list told ThePrint. Atishi Marlena, a member of AAP’s political affairs committee (PAC), vehemently denies this perception. “The party is like a flowing river. People will come and leave,” she told ThePrint. 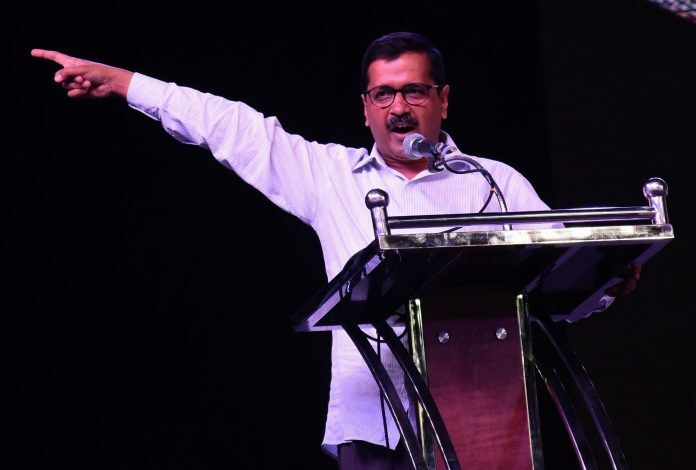 It’s a line echoed by others in the party who have stuck on with Kejriwal, with some saying that they don’t have access to enough information to be able to specifically counter the criticism and allegations made by those who have moved on. Kejriwal’s detractors attribute the incessant rumblings in the party to what they say is his “dictatorial attitude”. There were no consultations within AAP over the Rajya Sabha nominations, said to be the main reason for the resignation of Ashutosh and Khetan. Kejriwal had nominated party leader Sanjay Singh and two businessmen — N.D. Gupta and Sushil Gupta — to the upper house. Many AAP leaders privately claim that Kejriwal may have nominated N.D. Gupta, perceived to be close to Arun Jaitley, to buy peace with the Union finance minister. About four months after Gupta’s nomination, Jaitley withdrew his defamation cases against Kejriwal once the Delhi chief minister apologised. The other businessman is likely to be Kejriwal’s Amar Singh or Prem Chand Gupta, said a leader familiar with the equations in Delhi’s ruling party. Most of the leaders, who have left the party or were sacked, have accused Kejriwal of running the party like a dictator. “Kejriwal loves power and people he can control completely. He will play any dirty trick to capture power,” lawyer-activist Prashant Bhushan told ThePrint. Bhushan along with Yogendra Yadav, Anand Kumar and Ajit Jha had been very critical of Kejriwal’s functioning, leading to their ouster from the party in April 2015. Two of these then AAP leaders said that further disillusionment with Kejriwal was gradually setting in. “Hypothetically, if you needed to have a war with Pakistan to win elections, who between Kejriwal and Modi would go for it,” asked one of them. “Kejriwal…because Modi would think of the problems he would have to deal with after his return to power,” the other responded. In Punjab too, the rebel group’s main gripe has been the Delhi leadership’s “dictatorial” attitude. Khaira told ThePrint that the decision to remove him as the leader of the opposition had been taken early on the morning of July 26. It was conveyed to the speaker of the assembly in a letter delivered to him by early afternoon. “At 4.30 pm, MLAs start getting calls from Manish Sisodia (Punjab in-charge) that the party was removing me and that they should give their consent through a Whatsapp message. Some consented, some did not. By the evening, my removal was declared through a tweet. Is this how political parties function?” asked Khaira. He had earlier publicly disagreed with Kejriwal over his apology to Akali minister Bikram Singh Majithia, terming it as “a sign of weakness”. No Punjab leader was apparently consulted on this issue. “Khaira and his group are power hungry. Why did they not protest for the cause of others? When it came to his own position, he made it a Delhi vs Punjab battle,” responds Bhagwant Mann, Punjab AAP president, the third since August 2016. Kejriwal loyalists also claim that he takes all criticism in his stride and consults party leaders regularly. “There is something very unique about Kejriwal, like his quick decision-making and the ability to go to the crux of the matter within seconds. This is an asset for the party. He is very accessible and we have meetings with the CM thrice a month,” said Timarpur MLA Pankaj Pushkar. The chief minister’s detractors, however, accuse him of being so focused on his own interests that he becomes “oblivious” of others. “I used to think earlier why Vipasana’s impact was not reflected in what Kejriwal did. It suddenly struck me that it did. Vipasana makes him so completely detached from what others may be thinking or what may be the results of his actions,” said a former AAP leader. Khetan may have fallen out with Kejriwal now but there was a time when he blindly followed him. While drafting the manifesto for the 2015 assembly elections, Khetan wanted to include a poll promise that the party would create 10 lakh jobs. Yogendra Yadav was reportedly upset about it as he didn’t see Delhi having the resources to fulfil the promise. “But Kejriwal overruled him, saying that the party had to tell people what they want to hear. The figure was brought down to 8 lakhs but Yadav was not happy about that either,” said a party leader privy to the deliberations then. This is not the only instance when Kejriwal seems to be evolving into what some critics say is a “true politician” — from a civil rights and anti-corruption activist who was projected as an idealist. In a move that would give Congress backroom players a run for their money, the AAP leadership appears to deploy leaders to pull down those who show signs of independence. “It seems Khaira was being targeted. The Delhi team began troubling Khaira just like they had done to all state leaders who started growing in stature,” said a Punjab leader. “What is also troubling many in the AAP is their gradual discovery of Kejriwal. He is an IITian but he has no eye for detail. He just announces populist schemes without thinking about resources. He spent over a decade in the civil services but he doesn’t know how the system works. Why else would a former civil servant insult serving ones?” said another former AAP leader, explaining the reasons for the Delhi government’s frequent run-ins with the Centre and the capital’s lieutenant governor. “But these face-offs are also deliberate because Kejriwal wants people to believe that the Centre was responsible for his failure to deliver,” he alleged. Last year’s bypoll in Rajouri Garden and municipal polls indicate a turning tide for the ruling party in the national capital. It has also made no headway in other states. Sensing a slide in AAP’s popularity with not much to show for in governance, Kejriwal appears to be shifting the blame onto the Centre, holding a sit-in at the LG residence, besides launching a movement for full statehood for Delhi. His desperation is evident from his overtures to the Congress for an alliance in the forthcoming Lok Sabha elections. He no longer minds sharing the dais with leaders who he used to berate for alleged corrupt practices. Kejriwal is also not heard talking about corruption, the Swaraj Bill or the Jan Lokpal Bill any more. His pitch has been reduced to ‘L-G hatao’, statehood, or the Centre’s vendetta politics, issues that are likely to set the AAP’s narrative of victimhood in the next elections. Kejriwal is honest politician but he is a chief minister without power. Have been a sceptic of AAP since its inception. Claim no prescience, it is just that electoral politics and being in power have their own compulsions and compromises. Mr Kejriwal’s ambition to become PM rested on foundations of sunlight and air. There was some promise in Punjab, which is imploding. With luck and hard work, the effort should be to save Delhi. Good people are ALWAYS FULLY LOADED WITH EGO and that’s most unfortunate thing we Indians have to face that will lead us towards peak of KALIYUG. God save us all.